By doubling down on their voter-suppression tactics, Trump and Co. could put the House of Representatives beyond the reach of even an overwhelming Democratic majority. If you’ll permit an understatement, these have been frightening and uncertain times. Every day, it seems, we wake up to find a new addition on the list of doomsday scenarios. Facing a dangerously intemperate president, backed by white nationalists, with vast powers at his disposal and a clear willingness to dispense with all conventions of proper conduct, it’s vital that we maintain a sober understanding of what’s at stake, and how much could go wrong. In trying to rally ourselves to prevent these catastrophic possibilities from becoming reality, many of us have found it useful to visualize the opposite: success. Perhaps Senate Republicans will ultimately break away from their own party and vote for impeachment. Maybe a constitutional amendment will be passed providing for some kind of no-confidence vote that would force an early election. Maybe Steve Bannon will be sidelined in a power struggle inside the White House, convinced, somehow, to retire, perhaps to go raise sheep in the countryside. Others are training their hopes on the 2018 midterm elections. Given the mobilization of left-leaning Americans since the election and the unpopularity of Trump—likely only to increase—it’s tempting to imagine a Democratic sweep that would reclaim control of the House of Representatives, providing crucial political leverage to push back against Trump and his policies. The danger that voter-suppression strategies pose to the Democrats’ chances in 2018 must not be underestimated. However, in our eagerness for such a scenario, we should take care to not let the ease of imagining it distract us from the potential threats to achieving it. Staking the future of our movement and of the country—not to mention the world—on winning elections requires that we think carefully and seriously about how we ended up here in the first place, with a figure like Trump managing to claim victory despite his massive unpopularity and controversies that should have sunk his candidacy at every turn. Specifically, we should keep in mind the recent history of voter suppression and the degree to which the outcome of the 2016 election wasn’t necessarily determined by voters feelings alienated by the Democrats’ message—nor turned off by the mythical two-headed ogre of “identity politics” and “political correctness”—but rather by Republican strategies to tilt the process itself in their party’s favor. The danger those strategies pose to the Democrats’ chances to recover the House in the 2018 midterm elections must not be underestimated. In 2013, the Supreme Court’s decision in Shelby County v. Holder effectively gutted the Voter Rights Act, permitting Republicans to employ a variety of voter-suppression methods that have since proved invaluable to their campaigns. These tactics will not only remain a factor working in their favor in 2018; they are very likely to significantly expand under the leadership of a man obsessed with the specter of “massive voter fraud,” desperate to prove himself both legitimate and loved by the people, and backed by a party in near-total control of all branches of government and eager to bend the rules to suit their political interests. The 2018 midterms elections could easily end up being compromised to the point that no realistic degree of popular opposition to incumbent Republicans would be sufficient to overcome them. One method we should expect to see employed, and expanded, is the Interstate Voter Registration Crosscheck Program, more commonly known simply as Crosscheck. This system, designed with the ostensible purpose of combating voter fraud, operates by cross-referencing names on the rolls of a given state against those on the rolls of other states. If the same combination of name and birth-date occurs in two states, those votes are stricken from the rolls. This system has been known to disproportionately impact minority voters by targeting names common to specific demographics, notably Hispanic and black voters, who have traditionally voted Democratic. At present there are alarmingly few restrictions on the application of Crosscheck, and it would not be surprising to see it applied more vigorously in blue-leaning or swing states in 2018. Other restrictions are also likely to be expanded. Limiting polling locations in Democratic jurisdictions, curtailing their hours, and putting them in inconvenient locations are also likely to play a role in reducing Democratic turnout. Long lines at out-of-the-way polling places can significantly reduce the number of registered voters who turn up in those jurisdictions, and by reducing hours, the government can create the impression among those who do make it out that they’ve arrived too late to have their votes counted. The efficacy of this means of targeted suppression can be compounded by ensuring that polling locations are not convenient to access via public transportation (vital to the poor and disabled), and rolling back laws that require employers to allow time off for voting. That the latter will be employed in 2018 is almost a certainty, given the GOP’s traditional prioritization of employers, businesses, and corporations over workers’ rights. Even if present laws requiring time off remain in place, it is far more difficult for someone barely scraping by on minimum wage to sacrifice their working hours for an indeterminately long wait in a deliberately lengthened line at a polling location operating well beyond its capacity. Early voting and mail-in ballots have traditionally been a means of ensuring that voters who might otherwise not have access to polling locations are still able to vote, but we can expect to see further barriers raised here as well. A disturbing trend seen in Ohio in both the 2014 and 2016 elections was to deliberately reduce polling locations for early voting on the days in which black churches were conducting drives to help bring out the vote. Given the alt-right’s preference for misinformation campaigns as a political strategy, we will also likely see deliberate attempts to undermine the public’s understanding of where, when, and how to vote, and what will and will not be permitted. Consider the attempts in November to convince voters they could submit their ballots online. This, too, has precedent in modern Western democracies, even as official campaign strategy, such as in the “robo-gate” scandal of Canada’s 2011 federal election. 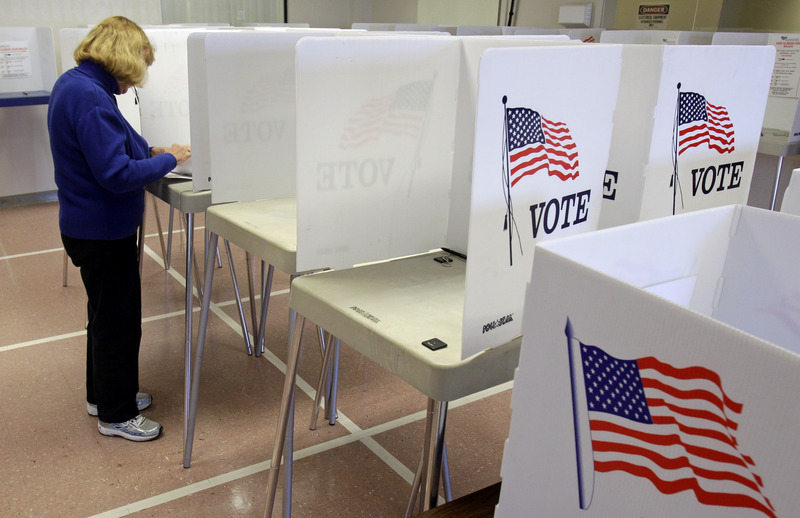 Automated voice messages were sent to potential Liberal voters falsely claiming that polling locations had been changed, which in several instances led voters to the wrong location. Simply maintaining access to reliable information on the basic process of voting will likely prove difficult in future elections. Under the pretense of the voter fraud that has already become a favored talking point of the Republican leadership, we may also soon see legislation passed insisting that voters must verify their identity with multiple forms of government-issued ID. This will compound the disproportionate burden such policies place on specific demographics to procure ID or the documents necessary to obtain it. The poor and homeless often have difficulties because of expense or lack of a fixed address. Immigrants will especially face considerable obstacles in producing valid birth certificates or other necessary documents, as will individuals who have moved frequently and groups likely to use more than one name at different points in their lives, such as immigrants, women, and transgender voters. Again, these groups are more likely to vote Democratic, creating a clear incentive for Republican legislators to suppress their votes. Even if a voter does produce the required identification, it’s possible that those who are visible minorities may be subject to additional scrutiny by officials, and perhaps even have their identity or documentation treated as illegitimate. This will be particularly true if the gender marker on their ID does not match what the election official perceives them to be, or if their country of origin is considered suspect, or if their name doesn’t seem “appropriate” to their appearance or ethnicity, or if, for whatever reason, election monitors decide they are not the person shown in the photograph. A final consideration is that whatever laws do remain to protect the rights of voters are effective only if they are actually enforced. Law-enforcement officers with Customs and Border Protection and the Marshals have already demonstrated a willingness to place the orders of the executive branch above those of the judiciary, even in violation of the law. There are no guarantees that any law-enforcement personnel or officials in the position of overseeing the elections will remain nonpartisan. What if they simply refuse to protect Democratic or minority voters from intimidation or harassment? Examples of such lawlessness have already been seen in the 2016 election, as in Loudoun County, Virginia, where a man wearing a Donald Trump shirt and openly carrying a .357 Magnum approached voters in line—including a woman with her 9-year-old son—asked them whom they were planning to vote for, and handed out Republican sample ballots. When complaints were made to the authorities, they said he was well within his rights and was not engaging in voter intimidation. Considered together, these potential means of compromising the fairness of the 2018 election could easily produce an outcome in which the Republican Party is able to maintain control of the House and Senate despite massive, even unprecedented, dissatisfaction with their record in government. If they are successful, even greater obstacles could be installed for the 2020 elections, ensuring a second term for Trump—and perhaps later even a third or fourth term, should they choose to use their consolidated power to push for a constitutional amendment. None of this is to say that the situation is hopeless, or that one should consider their vote unimportant or merely symbolic, or that an unfair and unfree midterm election is a foregone conclusion. We in the opposition must remain willing to employ absolutely every tool at our disposal, and the fight is far from lost. But it will be crucial to not fight blindly or under the illusion that the game is being played fairly. Maintaining vigilance, watching for threats to the legitimacy of the electoral process, and fighting against those threats when they appear is every bit as crucial to the continued survival of American democracy as the conventional tools of campaigning and bringing out the vote. We should never give up, or surrender our hope. But we also need to stay smart, informed, and aware of the shifting terrain on which the battles to come will be fought. Natalie ReedTwitterNatalie Reed is a writer and blogger currently living in Vancouver, British Columbia. Her non-fiction work has previously appeared at Skepchick, Freethought Blogs and Bleeding Cool, among others.